No More CDs and No More PCMCIA Cards! Just use SD Card! Easy to add and easy to delete! It's a super EASY Media for your car! 1 x Brand New PCMCIA to SD/SDHC PC Card Adapter. Notice: Not Include the SD/SDHC Card. Attention: Some S Class can't use this adapter. 1:Suggest use a Class 10 SDHC Card to work with the adapter.Highly recommend SanDisk Class 10 high speed card. 2:Before you use the SD Card, Please format it to FAT32 Format. 3:Plug the PCMCIA Adapter into your car slot first.After it installed well. Plug the SD/SDHC Card into the Adapter. 4: Suggest download MP3 Files into the SD/SDHC Card. No more CDs,Free MP3,Free Media for Your Car Audio System! 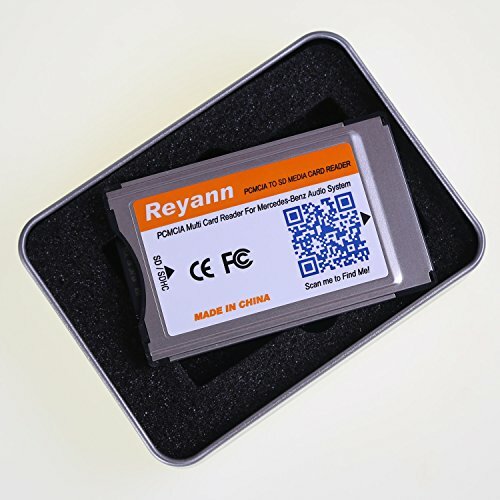 High Quality PCMCIA Adapter.Fast and Free Shipping! If you have any questions about this product by Reyann, contact us by completing and submitting the form below. If you are looking for a specif part number, please include it with your message.